The Mt. Baker Chapter of SHRM is a SHRM Recertification Provider. We are a SHRM Recertification Provider for the new SHRM-CPTM and SHRM-SCPTM Certifications! 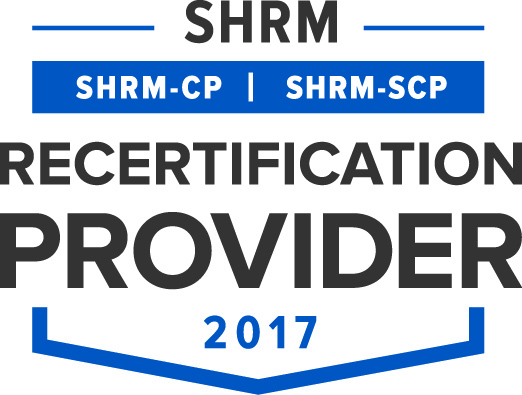 Mt Baker SHRM is able to award Professional Development Credits (PDCs) for programs offered that relate to the SHRM Body of Competency & KnowledgeTM (SHRM BoCK). The Mt. Baker Chapter of SHRM is an affiliate of the Society for Human Resource Management (SHRM). Whether you are new to the HR field or have many years of experience, we are a local starting point for networking, information, professional development and continued support of excellence in Human Resources. Please visit our About Us page to learn more about who we are and what we are about. To join our chapter, please visit the Membership page. Learn best practices when creating or updating an employee handbook. This 7-week course will be held once a week, each Tuesday evening, from 6:00 - 8:00 pm from April 9th – May 21st, 2019. Join us this summer for one of the popular "UnWINEd On the Bay" wine tasting cruises, aboard the Victoria Star 2.